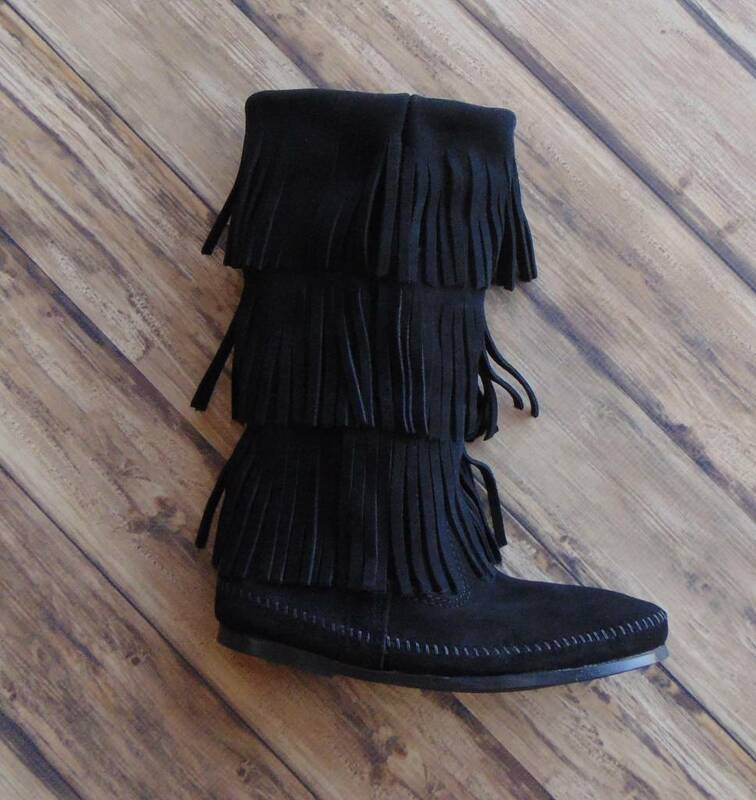 Minnetonka Moccasins (3-Layer Fringe Boot) - Stori Anne Co.
Three layers of suede fringe wrap all the way around, swaying with your every step for a little flirty fun. These suede leather boots meet you mid-calf. Slip them on for dancing, concerts or a quick and easy fashion statement.